Whether you're looking to buy or sell your first home or your tenth let me put my experience and the powerful name of Coldwell Banker to work for you. Call or text me today and let's get started. As a licensed real estate agent my expertise includes determining the selling price of your home; marketing; presentation, negotiating, and closing the deal. If you are even thinking of buying or selling, I invite you to give me a call so we can discuss an action plan - it is never to early to plan ahead. Referrals are the lifeblood of real estate. I greatly appreciate any referrals from your family and friends and promise to give them professional service. 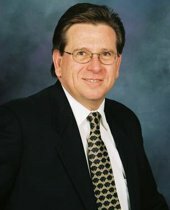 To learn more about real estate, I invite you to view my blog at www.rolandlow.wordpress.com. Currently licensed in Maryland; previously licensed in Minnesota and Tennessee. Over 12 years experience in real estate.